I recently read an article in the New York Times concerning the rise in asbestos related deaths in Asian countries. It is very disconcerting to see the lack of laws in other countries concerning the use of this deadly product. I am shocked that countries such as Canada, Russia, Asia and India continue to import and export asbestos. In my work with clients as a mesothelioma attorney, I have seen the damage this deadly carcinogen can cause. Asian countries now account for 64% of the world’s asbestos consumption. This is a significant increase from the estimated 14% of asbestos use between 1920-1970. This rise in asbestos use is largely due to unregulated import and usage laws. Data from a study conducted by the World Health Organization has recorded that Asian patients surprisingly only make up 13% of asbestos related deaths worldwide. However, researchers have predicted that there will be huge increase in asbestos related deaths in Asian countries over the next 20 years. This is tragic and could be prevented. Asbestos has been identified as one of the most dangerous occupational cancer-causing agents. Asbestos is a naturally-occurring mineral. The fibers from this mineral are very strong and are flexible enough to be woven. Asbestos is woven into various materials or incorporated into products and used for fireproofing and insulation. It can also be mixed with other materials such as cement, resins and plastics and used as a filler material to add strength, thermal protection and electrical resistance. 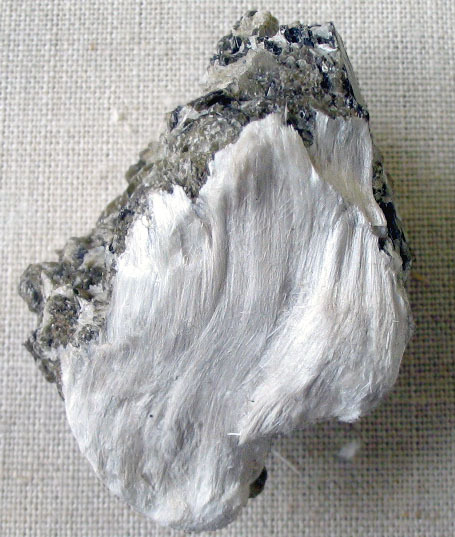 Because of its deadly properties, asbestos is no longer used in the United States. But sadly its use is on the rise in Asia. In Asia, asbestos-containing products are being used in power plants, roofing and cement materials. The asbestos contaminated roofing panels that are currently being used in Asia are imported from India. These roofing panels are made very cheaply in Indian factories from the asbestos India imports from Russia and Canada. Exposure to the deadly asbestos fibers occurs during the manufacture and use of these products. There is no known safe level of asbestos exposure. Even in small doses, asbestos can cause mesothelioma. Mesothelioma is a cancer of the lining of the lung caused by exposure to asbestos. There is presently no cure for this disease. Mesothelioma has a long latency period and symptoms may not appear for 20 to 50 years after the initial exposure to asbestos. Because of the length of time it takes for most people to show symptoms of this devastating disease it is often difficult for people to recall where they were exposed to asbestos. The companies that manufactured these products were aware of its deadly potential. If you or someone you love has been diagnosed with mesothelioma, you should be aware of your legal rights.